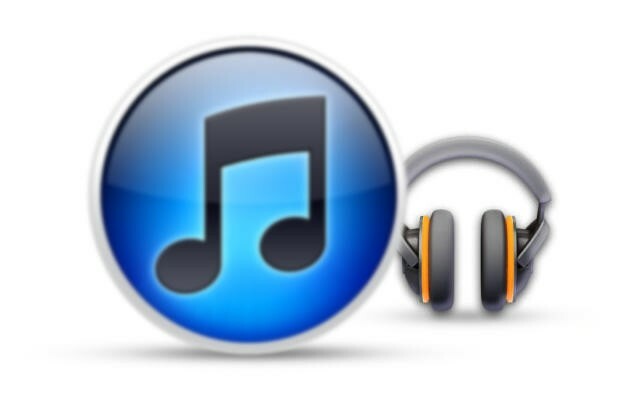 Google Music: Can it Take Down iTunes? After what seems like eons of rumors and speculation, Google Music has finally been released to the masses. Of course, one of the first questions that pops into anyone’s head is — what could this possibly mean for the giant that is iTunes? For years now, the biggest name in the digital music game has been iTunes, with it becoming the top-selling music retailer in the United States. Others have attempted to challenge Apple, but they have been less than successful. The reason why is no mystery — none of those services had a backer with deep-enough pockets to really pose a threat… that is, until now. Enter Google. Now this should be really interesting. The search giant is coming to the table with a lot to offer, namely the opportunity to access your music from a multitude of devices, i.e. anywhere you want, and all for free. It kind of makes that $24.99 annual fee for iTunes Match seem a bit silly now, doesn’t it? Let’s start with the positives of this Google Music proposition: As stated, the service costs nothing and can stream to any Android device with version 2.2 or higher. Seeing as Google’s OS now controls 52.5 percent of the smartphone market, that means there is a ton of devices that can take advantage of this. Forget the chore of syncing your favorite songs before heading out to the gym; you can pin selected tracks to your device on the go, just in case you wind up somewhere without Internet (like an airplane). You can also get at least one free song per day. That’s not too shabby for something you aren’t paying for. But as with everything in life, there are also some cons. In the case of Google Music, the biggest one has to be that they haven’t yet signed every major label. This could change at any moment, but if you’re a fan of Warner Music Group artists such as Big & Rich, Dropkick Murphys or Red Hot Chili Peppers, this could be a serious issue for you. And although streaming whatever tunes you have, whenever and wherever you want, is much more convenient than dealing with syncing, there’s also a much bigger risk of hitting cellular data bandwidth caps. No one likes overage fees, and this service seems ripe for that — particularly if you’re prone to marathon jams or planning to drive cross country with the Bruce Springsteen discography as your background soundtrack. The last issue I’ll call out isn’t so much a “con” as it a fear, and anyone familiar with Google’s penchant for experimentation may relate to this: Google has kind of a hair trigger when it comes to dumping a service that doesn’t perform the way they want. (We’re looking at you, Google Wave.) No matter how much they throw themselves behind a project when it starts, they don’t hesitate to cut the dead weight on a fairly regular basis. Say six months from now, Google Music hasn’t met the benchmarks the company set for it. What do you think will happen then? Unfortunately, by that time, you’ve moved your entire music collection and handed over your full library management. Now, I’m not saying it will happen. In fact, my gut feeling is that it probably won’t, but Google’s track record is a little unnerving. As I write this, I’ve been listening to the free songs from Shakira that appeared in the music Market today, while uploading several thousand songs to the Google Music Player. I’m intrigued by what’s going on here, and so I’m going to set my reservations aside and give it a try. The big question is, how many will do the same? One of the main keys to iTunes’ success was convenience. No one had ever made it easier for users to purchase music before, and so they did in droves. That means at this point, people have now spent years tending to their collections. The thought of moving completely away from that comfortable, familiar environment can be a daunting one, especially considering people in general do not love change. I’m not talking about the early adopters, but everyone else — if they’re happy in the iTunes environment, they’re likely to stick with what they know and love. They might give Google Music a try, but it will need to make a huge impression to tempt them away completely. Unfortunately, from the little time I’ve spent with the service today, I’m just not sure there’s enough here to sway the masses into switching. At least not yet. But Google Music is still in its infancy, and that’s something I hope people keep in mind as they try this out. It is admittedly not as fleshed out as iTunes, but it also hasn’t had the years of use, user feedback and refinements to help mold it. The service is destined to evolve and change as more people come on board. In other words, if it’s not the perfect fit for you now, it could be six months from now. Both you (and Google) will need to give it some time, if you want to see it grow and find its legs. So is it an iTunes killer right now? I’d have to say it isn’t. Could it be an iTunes Killer a few years down the road? Well, we’ll just have to wait and see, now won’t we?